Power is the capacity of reaching a goal or get something done. Reaching a goal, heading towards a vision or fulfilling a task requires energy. One of the highest skills of leaders is that of activating people’s power and energies towards a goal. To activate means to put those energies into a flow, a flow that can build or destroy almost anything. Power to act and to generate changes makes the difference between life and death. Think of how important leadership can be in managing a fire brigade team, or coordinate a rescue team, and you will find easily how leaders need not only external signs of leadership (e.g. uniforms) but really internal set of tools and values that make them special people. 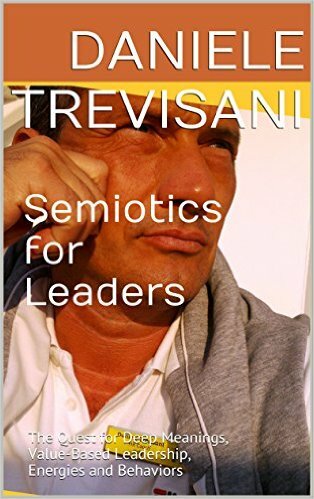 Several “semantic maps” (a Semiotic tools) will be used to show the meaning connections among hot topics of leadership. 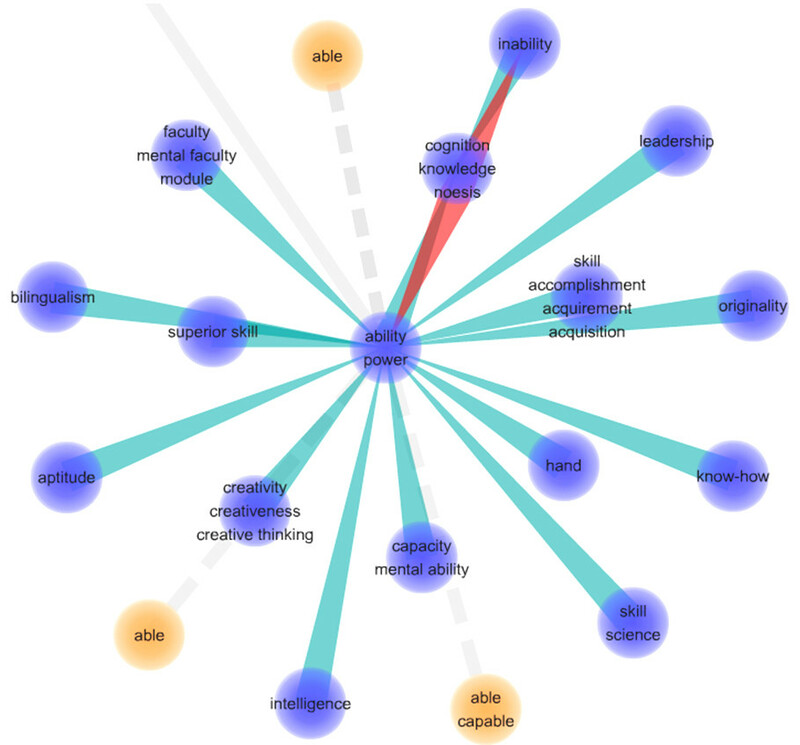 As this first semantic map shows, ability and power are closely connected to skills acquirement, to mental faculties, to knowledge, and leadership. This map shows connections among concept from WordNet® an official database from Princeton University. Given this complexity a working model that deals with the ambition of helping humans in reaching their full potential in leadership should really be holistic and pragmatic. Holistic (in this approach) has the sense of encompassing the large variety of disciplines that enter the field of real leadership, such as management science, biology, psychology, linguistics, communication, neuroscience, and several others. “Pragmatic” in our view, means “practical”, focused on “what works”, what can be useful, centered on the real-life possibilities of applications and the will of finding really working paths of improvement. A holistic/pragmatic approach to Human Potential does not make a clear line between pathological conditions and “normal” condition, sick or fit, white or black, but considers instead any human as a “system” whose energies can vary along a continuum, a system whose possibilities can unfold given proper stimuli, starting from any condition and state. The holistic/pragmatic approach therefore becomes useful both for counseling interventions and for coaching, for research purpose and for management of HR interventions, for sports athletes and for high performance teams in any field. There is no limitations to what can be achieved by a good work on Human Factor, since wherever we have a Human Being, any form of improvement will be possible given the right will and the right knowledge. Knowing how humans function enables almost everything. The clinical area is not marginal. It also concern the psychosomatic improvement, the mental condition, or the advanced frontiers of human understanding. A solid work on Human Potential, Performance and Leadership must comprise the Mental State in which humans work, as well as that mental state is the right one for the goal, and how to improve it. It must also include a strong foundation, teaching values and forcing them to be appliedby leaders into everyday behaviors and everyday decisions. George A. Miller (1995). WordNet: A Lexical Database for English. Communications of the ACM Vol. 38, No. 11: 39-41. Christiane Fellbaum (1998, ed.) WordNet: An Electronic Lexical Database. Cambridge, MA: MIT Press. Daniele, due articoli di cui uno di seguito elencato li ho trovati nella cartella “spam” con un bel segnale di divieto d’accesso per articolo contaminato. Ti consiglio un antivirus più potente. L’altro collegamento è apposto non presenta anomalie. Porgo le scuse per il commento sopracitato. Erroneamente è risultato pubblico. Il sito non presenta nessuna anomalia. “La conoscenza è potere in se”, condivido pienamente. Potere è azione, nel momento in cui la conoscenza manca l’azione ne soffre. Di conseguenza in potenza l’azione deve saper pianificare e produrre il risultato voluto. Solo una corretta conoscenza produce i risultati sperati perché centrano il bersaglio non sprecando energie.